At Binding Store we have an extensive knowledge and decades of experience in relation to running and operating professional punching machines. This expertise means we are here to answer your queries and help you choose the right professional paper punch machine for you and your company. 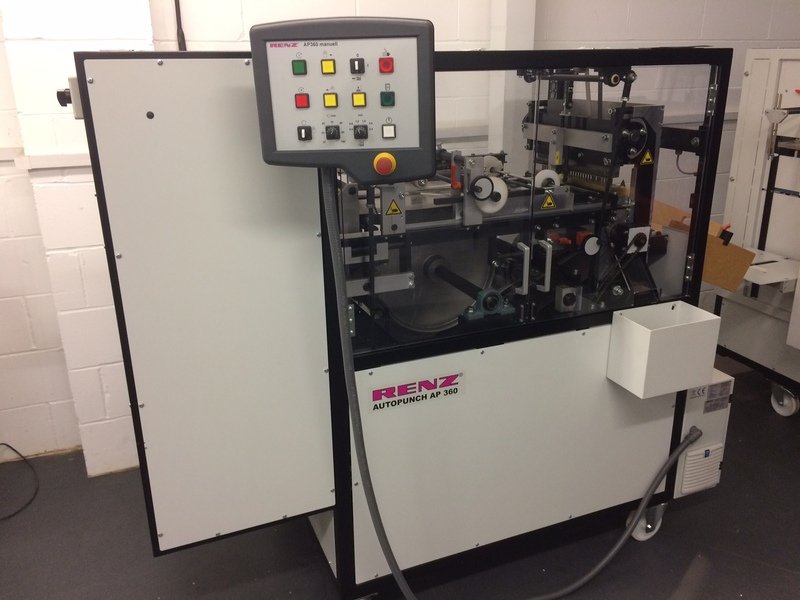 We supply all Renz professional punches who are leading manufacturers in the wire binding industry and well known for the high ‘German’ build quality we have all come to expect. Contact us for any advice on what paper punching system would be best for your needs and workload. 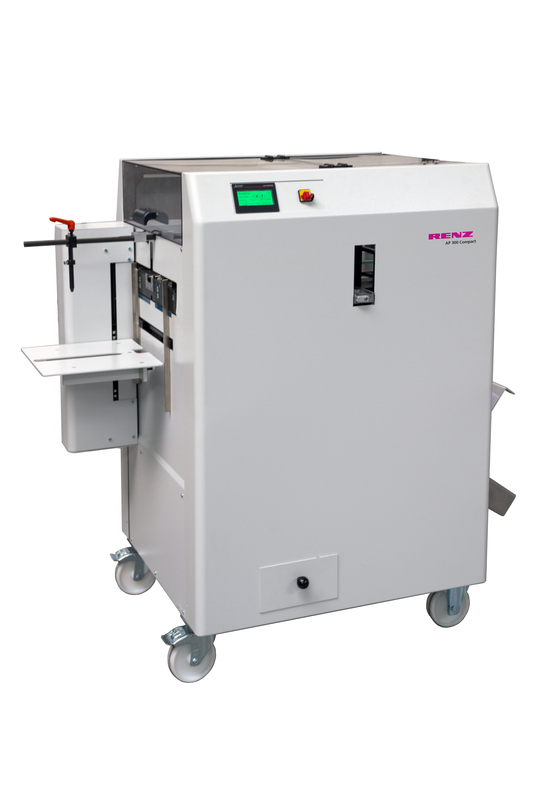 The Renz P500 ES Heavy Duty Punch is an electrical high capacity desk top punch with exchangeable punch dies. With a working width of 500mm the Punch 500 gives the option to punch A2 documents and calendars. A 2 part thumb cut die is available so book work and calendar work can be produced using 1 tool depending on what way the die is placed in the machine. All wire and comb binding dies are in QSA (quick size adjustment) format so the dies do not have to be removed when changing formats. The Renz P500 offers a comforatable experience for the operator as it is controlled by a foot pedal and paper is fed horizontally. A micro switch is standard on the ES version meaning productivity is increased with the punch cycle automated. Also on the P500 ES model it is fitted with eccentric shafts for a more powerful and effective punching motion. 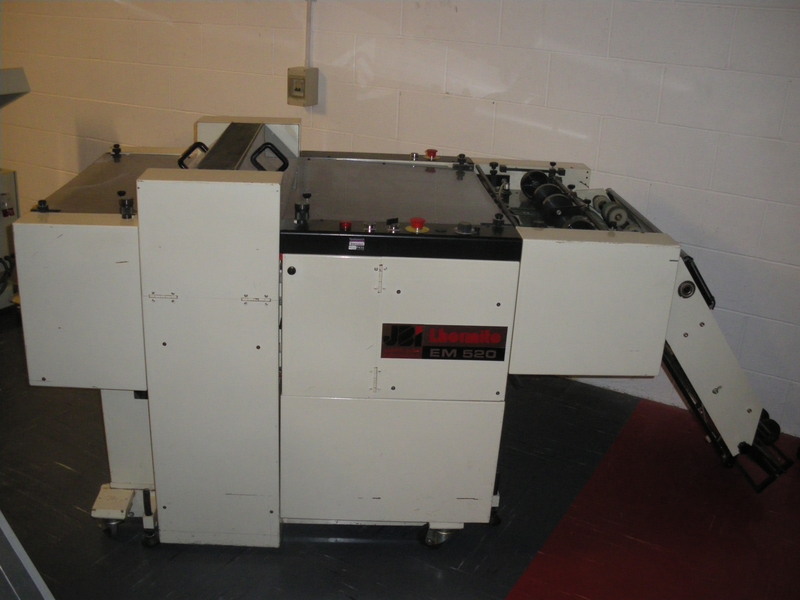 Binding Store has recently received a good condition Pfaffle F42a Autopunch complete with a 6mm spiral die and both 2:1 and 3:1 square dies. 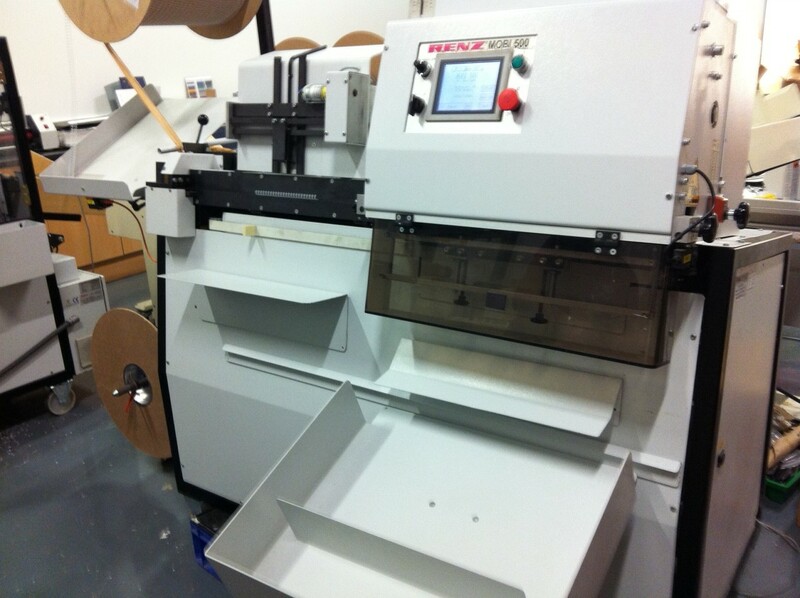 Binding Store has recently received in a 2008 Renz Mobi 500 Wire Binder and a 2008 Renz AP360 Autopunch. The Renz Mobi has only produced 450k books in 5 years and is in excellent condition. The AP360 is immaculate. 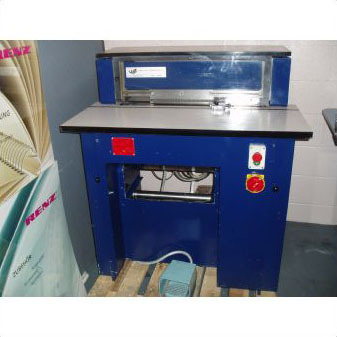 James Burn Lhermite EM520 Automatic Signature Punching Machine for sale. Complete with RS520 conveyor and SF520 feeder module and 3:1 double action punch and cut tools. punching and cutting signatures in line with high output folding machines through its RS520 conveyor interface or off line connected to the SF520 feeder module. Max. signature thickness – 3mm (1/9″) or 32 pages 80 gsm. The KL50 was designed as a heavy duty stand alone pedal operated electric punch. 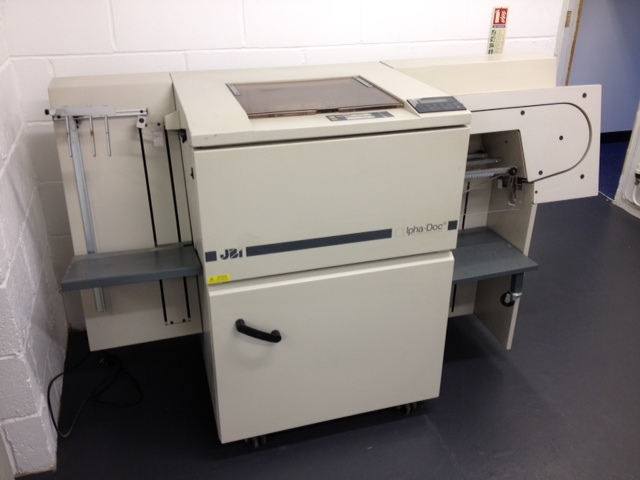 The KL50 is aimed at large in house print units or dedicated finishing houses. The model is very simple in operation and very reliable. 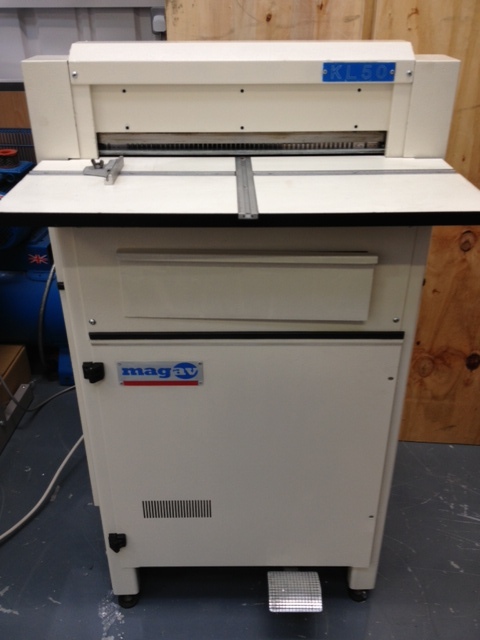 Comes complete with 3:1 punching tool and will punch up to 500 mm wide sheets. It has a punching throat of 2.5 mm and is free standing. Machine also runs on standard single phase. 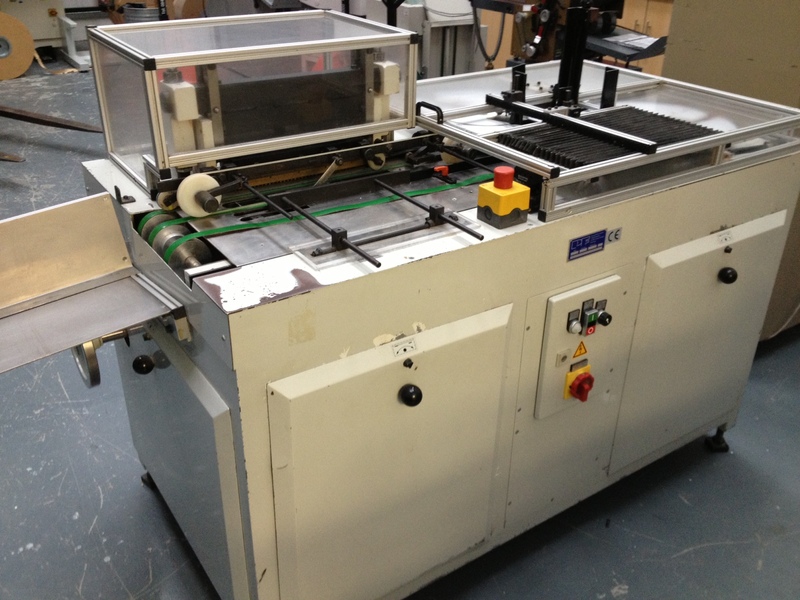 We now have in stock an excellent condition Rilecart FAR 4/42 auto punch with 3:1, 2:1, 6mm and calendar dies. The machine comes from a company closure and really is in good condition and can be viewed running at our showroom in Hemel Hempstead. We have added a 3 part segmented calendar die to this package making this machine truly versitile having the ability to do 3:1, 2:1, spiral/coil and calendar binding. It would cost you far more than our offer price for the machine and dies to buy just the tooling alone! Far 4/42 can be fed continuously with material of variable thickness (paper and/or light cardboard). Sheets are safely picked-up in bunches of 1,5/2 mm. each time, centred and punched with precision and accuracy. Sheets are then transported by a belt into the punching section. Punched bunches are kept in numerical sequence and collected on a separate conveyor, in shingle style, so that the following procedures are made easier. Maximum punching size: 400 x 300 mm. Minimum punching size: 110 x 90 mm. Speed: up to 150 strokes per minute. Punching distance from the edge: from 2 mm. up to 6 mm. depending on punching tools used. Operates continuously using a pre-loading device. Shingle style delivery table with adjustable speed. 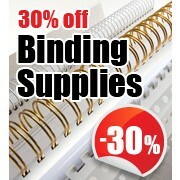 Several punching tools for double loop binding or other mechanical binding systems. Size: L 3000 x D 700 x H 1200 mm. 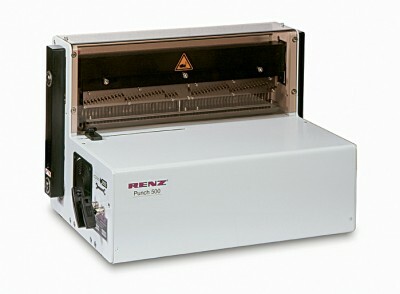 The Renz Super 700 and Renz Super 900 are heavy duty paper punching machines. The 2 machines are designed to punch paper, cardboard and plastics. The machine is operated by electric foot pedal and can be used while sitting or standing. Heavy duty machine, with new drive system, rated for continuous punching and perforating.. Punching width up to 700mm (27.5″) Super 700 or 900mm (35.5″) Super 900. Horizontal paper insertion guarantees punching accuracy on large formats. In addition, this design allows grooving or tear-off perforation at every position of the sheet. The open ended construction makes punching of double-length formats possible. 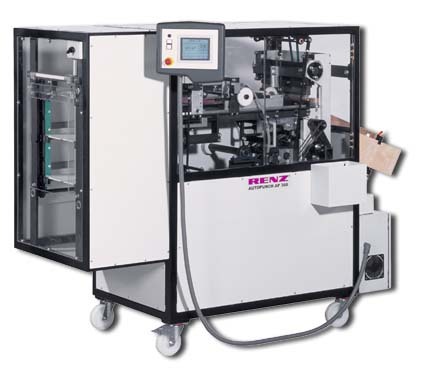 The extremely high punching capacity, another big advantage of the RENZ Super 700 and Super 900 is that the punching dies of most competitive manufacturers can be used by changing the mounting adapter. Changing of dies is quick an easy. 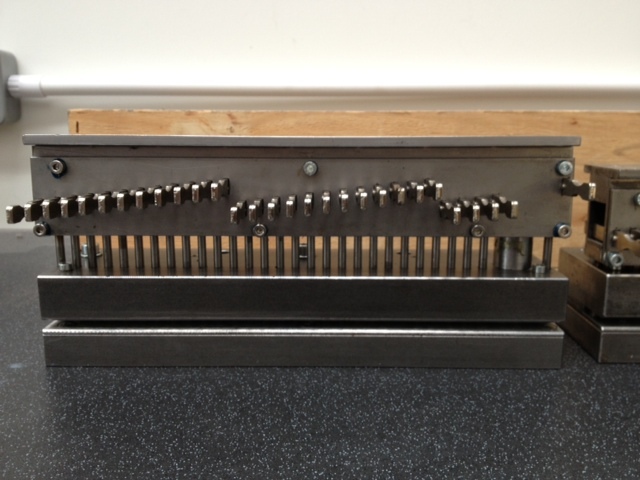 Split dies can be used in these machine that have 2 pitches or types in the same die which reduces your set up time when changing punch patterns. The proven design of the Super 700 and Super 900 guarantees a long life span. New in September 2013. 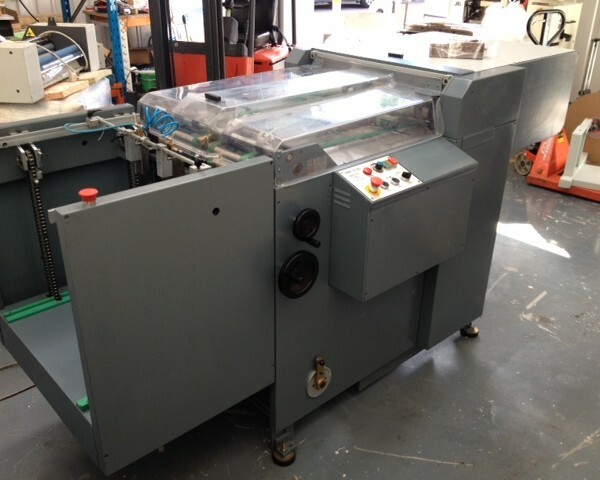 This Rilecart FAR 5/55 Automatic Paper Punch is in excellent working condition and available with a number of different dies for wire, spiral and calendar work. The spiral die is only 2 months old and only ever been used to produce 500 book and has an RRP of £3995 on its own. 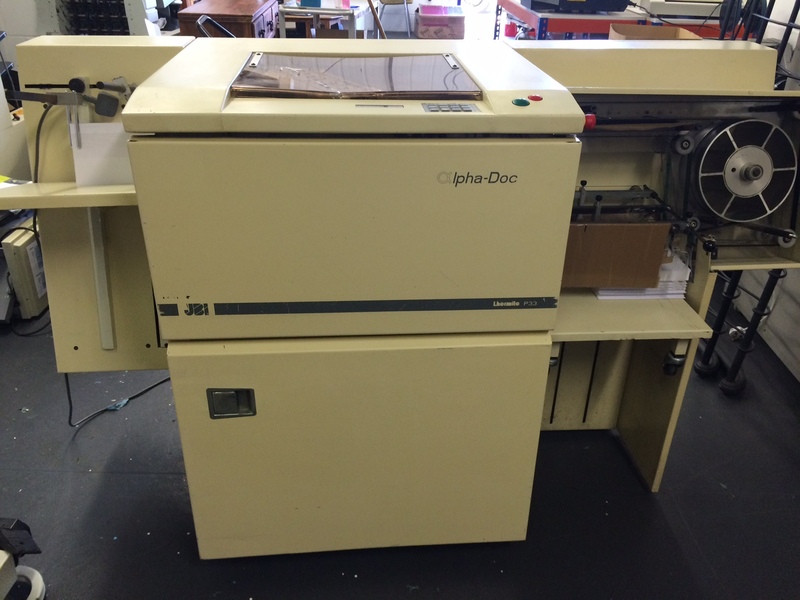 As you can see in the pictures this is probably the best condition used auto punch we have ever had in stock. All feed belts are in excellent condition, all original tools. Complete with spiral die, 3:1 calander die and other 2:1 and 3:1 tools. 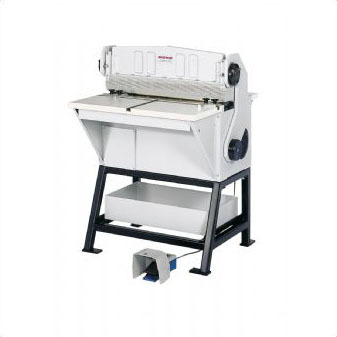 The FAR-5/55 has been developed for fast punching of loose sheets in large quantities of medium-large format. Large variety of punching patterns available according to the different binding systems; Rilematic® spirals, never-ending spirals, plastic spirals etc. The FAR -5/55 is specifically designed to guarantee great reliability and long service lives. All rolls and poles are connected through ball bearers and changes are fast and secure. Wide range of punching tools available, including tool for plastic-coils holes. We now have for sale a James Burn Lhermite EP-700 Heavy duty floor standing punch complete with 2:1 and 3:1 round 330mm length dies. 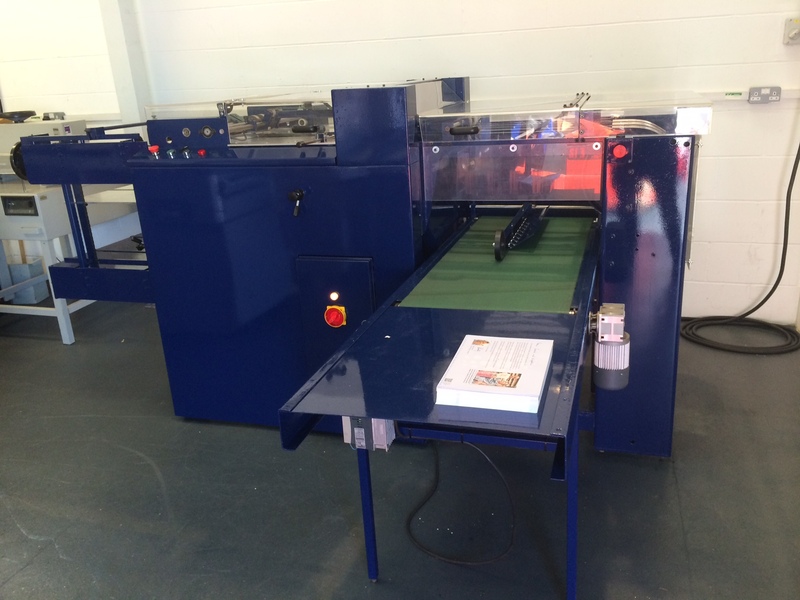 This machine is capable of punching up to 700mm wide and has the added benifit of having a tab cutting tool. 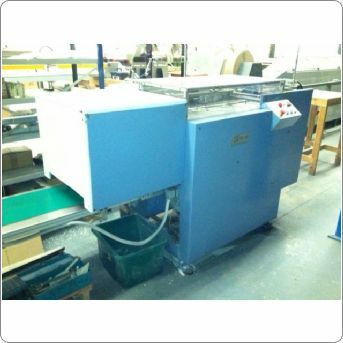 The machine is in good working condition and is available immediately.